Box Text: GO BEHIND THE SEAMS WITH KIRBY! 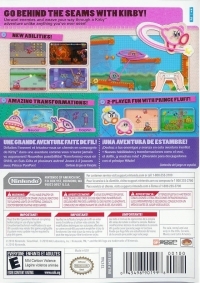 Unravel enemies and weave your way through a Kirby adventure unlike anything you've ever seen! 2-PLAYER FUN WITH PRINCE FLUFF! 02-07-2019 silverbow Box Text GO BEHIND THE SEAMS WITH KIRBY! Unravel enemies and weave your way through a Kirby adventure unlike anything you've ever seen! NEW ABILITIES! AMAZING TRANSFORMATIONS! 2-PLAYER FUN WITH PRINCE FLUFF! 11-21-2012 tpugmire Box Text GO BEHIND THE SEAMS WITH KIRBY! Unravel enemies and weave your way through a Kirby adventure unlike anything you've ever seen! NEW ABILITIES! AMAZING TRANSFORMATIONS! 2-PLAYER FUN WITH PRINCE FLUFF! 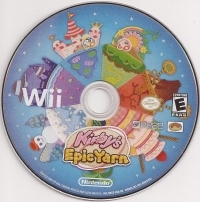 This is a list of VGCollect users who have Kirby's Epic Yarn in their Collection. This is a list of VGCollect users who have Kirby's Epic Yarn in their Sell List. 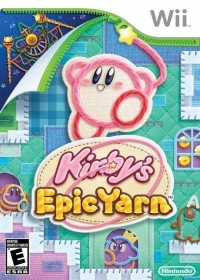 This is a list of VGCollect users who have Kirby's Epic Yarn in their Wish List.